Description - Our 4' x 6' premium mats are an excellent choice for both residential and commercial users who are in the market for a premium vulcanized gym mat. These mats are machine cut and vulcanized from 100% recycled rubber tires resulting in the most durable, non-porous, low odor, and long lasting mat on the market. 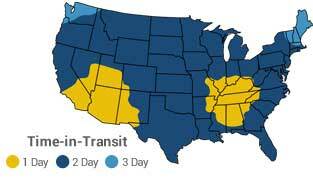 Premium mats are available in classic black or 4 additional popular 20% color fleck options. Our premium mats also have a smooth finish on both sides allowing them to be reversible extending the life of your purchase. If you are looking for the best combination of durability, premium appearance, and an economically smart choice our 4'x6' Premium Mats are perfect for you. 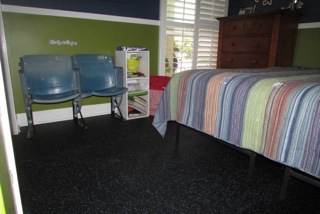 Material - Made from 100% recycled rubber tires vulcanized into premium high density mats. Color options have a 20% EPDM color fleck added to the surface. Recommended Uses - Our premium 4' x 6' Premium Mats have been successfully used in many commercial and residential applications. Our customers have installed these vulcanized gym mats in hockey arenas, schools, commercial gyms, hotels, ski resorts, fitness centers, locker rooms, pet care facilities, horse stalls, and residential home gyms. 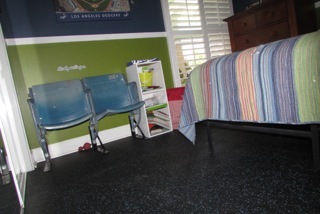 Non-porous, 100% recycled vulcanized rubber mats. I am wondering if these mats are non-slip. I am hoping to put one on a hardwood floor as a workout mat and am worried it may slip if I am doing cardio. Our 4' x 6' Premium Mats are non-slip. Due to the weight of the mat and it being made of rubber allows it to stay in place for most exercises. In very extreme cases would the mat move. I am planning to convert my basement into a table tennis room. I have carpet in my basement. Can I place the 4' x 6' Premium Mats on the carpet and will it provide stable support and not move/buckle with the weight of the player. Also, is the rubber mat too sticky on the shoes that will prevent lateral movement that is needed in table tennis play? You can install our Premium Mats over carpet. Our rubber mats are very durable and are commonly used in commercial gyms. With these being vulcanized, which is the strongest version of rubber flooring, your rubber flooring will not buckle under the weight of the table. As these are rubber mats, they do have a very high coefficient of friction. You will be able to do lateral movements with ease and not feel like you are going to get tripped up due to the friction. Because these mats have great slip resistance, if something were to be spilled, you won't have to worry about someone slipping and hurting themselves. We have new laminate flooring in our community gym. Would this mat be strong enough that if weights fell on it that it would protect the flooring? We are looking to avoid cracking or denting. The thicker mats pose a tripping hazard for us due to no slope edges. Our 4' x 6' Premium Mats would help to protect your laminate flooring from denting and cracking when weights are dropped. These mats are vulcanized, which means they are the toughest rubber mat we offer. I'm assuming that the rubber mats are water proof, is this correct? Also, I am considering using it outdoors. Other than fading, I was wandering how this product would hold up? Our 4' x 6' Premium Mats are water resistant not waterproof. These mats will fade in direct sunlight, but other than that they will hold up just fine outdoors. I bought the black rolls but I'm not sure which side should face up. The shinier side or the more matte, darker, less slick side? The top of our 4' x 6' Premium Mats is shinier than the bottom of the mat. You can use either side as the top surface, but the true top is the shinier side. Self-installed in Bedroom made into gym. I received the mats in good order. 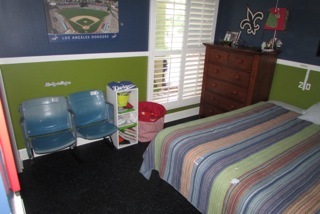 I then placed them in a spare bedroom that we made into a gym. The odor that these mats emit was overwhelming. I had hoped the odor would dissipate over time and much to my disappointment the odor does not go away. Consequently the mats have been removed from the room and are now stored in my garage. I ordered these mats for my son’s bedroom. He has horrible dust mite allergies and we cannot have carpet in his room. We installed it ourselves in a day and now Dean’s room is the envy of all his friends. Using a recommendation from your company, I connected four of the 4x6 Premium Mats to have a 8x12 area. My location is in an enclosed garage with a concrete floor. Not having to work out on bare concrete has helped ease the stress on my knees. After my exercise session, the car is brought in with no impact to the mat. I wanted flooring to cover the aerobic area in my home gym. These two combined, giving me an 8 X 12 working area fit perfectly. Yes there is a smell, yes it'll take a while to completely go away but, it is RUBBER right? Now we can run and jump and bounce all we want without undo jarring to our limbs. And, the golden flecks go perfectly with my carpet in there. Totally satisfied.